The primary mission of the Indian Army is to ensure national security and national unity, defending the nation from external aggression and internal threats, and maintaining peace and security within its borders. It conducts humanitarian rescue operations during natural calamities and other disturbances, like Operation Surya Hope, and can also be requisitioned by the government to cope with internal threats. It is a major component of national power alongside the Indian Navy and the Indian Air Force. The army has been involved in four wars with neighbouring Pakistan and one with China. Other major operations undertaken by the army include: Operation Vijay, Operation Meghdoot and Operation Cactus. Apart from conflicts, the army has conducted large peace time exercises like Operation Brasstacks and Exercise Shoorveer, and it has also been an active participant in numerous United Nations peacekeeping missions including those in: Cyprus, Lebanon, Congo, Angola, Cambodia, Vietnam, Namibia, El Salvador, Liberia, Mozambique, South Sudan and Somalia. The National Security Council (NSC) of India is an executive government agency tasked with advising the Prime Minister's Office on matters of national security and strategic interest. It was established by the Atal Bihari Vajpayee government on 19 November 1998, with Brajesh Mishra as the first National Security Advisor. Prior to the formation of the NSC, these activities were overseen by the Principal Secretary to the Prime Minister. Operation Surya Hope was the Indian Army’s Central Command response to the June 2013 North India floods in Uttarakhand. The Uttarakhand flood was caused by record off-season monsoon rains, cloud burst, floods, flash floods, and glacier lake outburst floods (GLOFs), which were possibly induced by climate change. The humanitarian disaster affected millions, stranded over 100,000 pilgrims and tourists in Himalayan religious sites, and killed several thousand people. The Indian Army's Lucknow based Central Command conducted the operation. Surya or Sun, is the emblem of the Central Command and features prominently on the Command's formation sign and flag, which is probably why Central Command chose to name the effort Operation Surya Hope. A volunteer military or all-volunteer military is one which derives its manpower from volunteers rather than conscription or mandatory service. A country may offer attractive pay and benefits through military recruitment to attract potential recruits. Many countries with volunteer militaries reserve the right to renew conscription in the event of an emergency. F-INSAS is India's program to equip its infantry with state-of-the-art equipment, F-INSAS standing for Future Infantry Soldier As a System. However the Indian Army has decided to drop the F-INSAS program in favour of two separate projects. 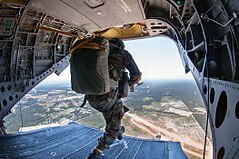 The new program will have two components: one to arm the future infantry soldier with the best available assault rifle, carbines and personal equipment, such as helmets and bulletproof vests. The second component is the Battlefield Management Systems (BMS). In the 20th century, the Indian Army was a crucial adjunct to the British forces in both world wars. 1.3 million Indian soldiers served in World War I (1914–1918) with the Allies, in which 74,187 Indian troops were killed or missing in action. In 1915 there was a mutiny by Indian soldiers in Singapore. The United Kingdom made promises of self-governance to the Indian National Congress in return for its support but reneged on them after the war, following which the Indian Independence movement gained strength. Indian POWs also joined the Indian National Army which was allied with the Empire of Japan. It was raised by a former colonel of the British Indian Army (Gen) Mohan Singh, but later led by Netaji Subhas Chandra Bose and Rash Bihari Bose. With the fall of Singapore in 1942, about 40,000 Indian soldiers were captured. They were given a choice and over 30,000 joined the Indian National Army. Those who refused became POWs and were mostly shipped to New Guinea. After initial success it was defeated along with the Japanese, but it had a huge impact on the Indian independence movement. Similar organisations were also formed in Germany and Japan. Upon independence and the subsequent Partition of India in 1947, four of the ten Gurkha regiments were transferred to the British Army. The rest of the British Indian Army was divided between the newly created nations of India and Pakistan. The Punjab Boundary Force, which had been formed to help police the Punjab during the partition period, was disbanded,  and Headquarters Delhi and East Punjab Command was formed to administer the area. Immediately after independence, tensions between India and Pakistan began to boil over, and the first of three full-scale wars between the two nations broke out over the then princely state of Kashmir. The Maharaja of Kashmir wanted to have a standstill position. Since Kashmir was a Muslim majority state, Pakistan wanted to make Kashmir a Pakistani territory. As a result, Pakistan invaded Kashmir on 22 October 1947, causing Maharaja Hari Singh to look to India, specifically to Lord Mountbatten of Burma, the governor general, for help. He signed the Instrument of Accession to India on 26 October 1947. Indian troops were airlifted to Srinagar from 27 October dawn onwards. This contingent included General Thimayya who distinguished himself in the operation and in the years that followed became a Chief of the Indian Army. An intense war was waged across the state and former comrades found themselves fighting each other. Pakistan suffered significant losses. Its forces were stopped on the line formed which is now called LOC (Line of Control). [ citation needed ] An uneasy UN sponsored peace returned by the end of 1948 with Indian and Pakistani soldiers facing each other directly on the Line of Control, which has since divided Indian-held Kashmir from Pakistan-held Kashmir. A number of UN resolutions (38–47) were passed calling for a plebiscite to be held in Kashmir to determine accession to India or Pakistan only after Pakistan withdrew its army from Kashmir. A precondition to the resolution was for Pakistan and India to return to a state of "as was" prior to the conflict. Pakistan would withdraw all tribesmen and Pakistani nationals brought in to fight in Kashmir. With Pakistan refusing to pull back there could be no further dialogue on fulfilling the UN resolution. Tensions between India and Pakistan, largely over Kashmir, have never been entirely eliminated. A second confrontation with Pakistan took place in 1965. Although the war is described as inconclusive, India had the better of the war and was a clear winner in tactical and strategic terms. Pakistani President Ayub Khan launched Operation Gibraltar in August 1965, during which several Pakistani paramilitary troops infiltrated into Indian-administered Kashmir and attempt to ignite an anti-India agitation in Jammu and Kashmir. Pakistani leaders believed that India, which was still recovering from the disastrous Sino-Indian War, would be unable to deal with a military thrust and a Kashmiri rebellion. India reacted swiftly and launched a counter offensive on Pakistan. Pakistan launched Operation Grand Slam in reply on 1 September, invading India's Chamb-Jaurian sector. In retaliation, the Indian Army launched a major offensive throughout its border with Pakistan, with Lahore as its prime target. Pakistan launched a counter-attack against India on the western front. On 4 December 1971, the A company of the 23rd Battalion of India's Punjab Regiment detected and intercepted the movement of the 51st Infantry Brigade of the Pakistani Army near Ramgarh, Rajasthan. 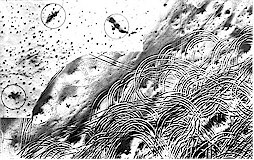 The battle of Longewala ensued during which the A company, though being outnumbered, thwarted the Pakistani advance until the Indian Air Force directed its fighters to engage the Pakistani tanks. By the time the battle had ended, 38 Pakistani tanks and 100 armoured vehicles were either destroyed or abandoned. About 200 Pakistani troops were killed in action during the battle while two Indian soldiers lost their lives. Pakistan suffered another major defeat on the western front during the battle of Basantar which was fought from 4 December to the 16th. By the end of the battle, about 66 Pakistani tanks were destroyed and 40 more were captured. In return, Pakistani forces were able to destroy only 11 Indian tanks. None of the many Pakistani offensives on the western front materialised. By 16 December, Pakistan had lost sizeable territory on both the eastern and western fronts. The Siachen Glacier, though a part of the Kashmir region, was not officially demarcated on maps prepared and exchanged between the two sides in 1947. As a consequence, prior to the 1980s, neither India nor Pakistan maintained any permanent military presence in the region. However, Pakistan began conducting and allowing a series of mountaineering expeditions to the glacier beginning in the 1950s. By the early 1980s, the Government of Pakistan was granting special expedition permits to mountaineers and United States Army maps deliberately showed Siachen as a part of Pakistan. [ citation needed ] This practice gave rise to the contemporary meaning of the term oropolitics . India, possibly irked by these developments, launched Operation Meghdoot in April 1984. An entire battalion of the Kumaon Regiment was airlifted to the glacier. Pakistani forces responded quickly and clashes between the two followed. The Indian Army secured the strategic Sia La and Bilafond La mountain passes, and by 1985 more than 1,000 square miles (2,600 km2) of territory 'claimed' by Pakistan was under Indian control. The Indian Army continues to control all the Siachen Glacier and its tributary glaciers. Pakistan made several unsuccessful attempts to regain control over Siachen. In late 1987, Pakistan mobilised about 8,000 troops and garrisoned them near Khapalu, aiming to capture Bilafond La. However, they were repulsed by Indian Army personnel guarding Bilafond. During the battle, about 23 Indian soldiers lost their lives, while more than 150 Pakistani troops perished. Further unsuccessful attempts to reclaim positions were launched by Pakistan in 1990, 1995, 1996 and 1999, most notably in Kargil that year. Though most of the posts in the vicinity of the highway were cleared by mid-June, some parts of it near Drass witnessed sporadic shelling until the end of the war. Once the NH 1A area was cleared, the Indian Army turned to driving the invading force back across the Line of Control. The Battle of Tololing, among other assaults, slowly tilted the combat in India's favour. Nevertheless, some posts put up a stiff resistance, including Tiger Hill (Point 5140) that fell only later in the war. As the operation was fully under way, about 250 artillery guns were brought in to clear the infiltrators in the posts that were in the line-of-sight. At many vital points, neither artillery nor air power could dislodge the outposts manned by the Pakistan soldiers, who were out of visible range. The Indian Army mounted some direct frontal ground assaults which were slow and took a heavy toll given the steep ascent that had to be made on peaks as high as 18,000 feet (5,500 m). Two months into the conflict, Indian troops had slowly retaken most of the ridges they had lost;   according to official count, an estimated 75%–80% of the intruded area, and nearly all high ground, was back under Indian control. India has been the largest troop contributor to UN missions since its inception. So far India has taken part in 43 Peacekeeping missions with a total contribution exceeding 160,000 troops and a significant number of police personnel having been deployed. In 2014 India is the third largest troop contributor [TCC] with 7,860 personnel deployed with ten UN Peacekeeping Missions of which 995 are police personnel, including the first Female Formed Police Unit under the UN. The Indian Army has undertaken numerous UN peacekeeping missions. As of 30 June 2014 [update] , 157 Indians have been killed during such operations. The Indian army has also provided paramedical units to facilitate the withdrawal of the sick and wounded. The troops are organized into 40 Divisions in 14 Corps. Army headquarters is located in the Indian capital, New Delhi, and it is under the overall command of the Chief of Army Staff (COAS). The army operates six operational commands and one training command. Each command is headed by General Officer Commanding-in-Chief with the rank of lieutenant general. Each command is directly affiliated to the Army HQ in New Delhi. These commands are given below in their correct order of raising, location (city) and their commanders. There is also the Army Training Command abbreviated as ARTRAC. Besides these, army officers may head tri-service commands such as the Strategic Forces Command and Andaman and Nicobar Command, as well as institutions like Integrated Defence Staff. Corps of Army Air Defence Lt General A. P. Singh,  Gopalpur, Odisha. Army Aviation Corps Lt General P. K. Bharali, VSM  Combat Army Aviation Training School, Nasik. As an integral part of nearly all combat operations conducted by the Indian Army, the Regiment of Artillery has a history of being a major contributor to Indian military success. During the Kargil War, it was the Indian Artillery that inflicted the most damage. Over the years, five artillery officers have gone on to the Army's highest post as Chief of Army Staff of the Indian Army. Division: Each division is headed by GOC (division commander) in the rank of major general. It usually consists of three to four Brigades. Currently, the Indian Army has 40 Divisions  including four RAPIDs (Re-organised Army Plains Infantry Division), 18 Infantry Divisions, 12 Mountain Divisions, three Armoured Divisions and three Artillery Divisions. Brigade: A brigade generally consists of around 3,000 combat troops with supporting elements. An Infantry Brigade usually has three Infantry Battalions along with various Support Elements. It is commanded by a brigade commander who is a Brigadier,  equivalent to a brigadier general in some armies. In addition to the Brigades in various Army Divisions, the Indian Army also has five Independent Armoured Brigades, 15 Independent Artillery Brigades, seven Independent Infantry Brigades, one Independent Parachute Brigade, three Independent Air Defence Brigades, two Independent Air Defence Groups and four Independent Engineer Brigades. These Independent Brigades operate directly under the Corps Commander (GOC Corps). The Battle of Longewala was one of the first major engagements in the western sector during the Indo-Pakistani War of 1971, fought between assaulting Pakistani forces and Indian defenders at the Indian border post of Longewala, in the Thar Desert of Rajasthan state in India. The Northern Light Infantry is a light infantry regiment in the Pakistan Army, based and currently headquartered in Gilgit, the capital of Gilgit–Baltistan. Along with many unified armed forces presence in the Northern Areas, the NLI has the primary ground operations responsibility of protecting the strategically important northern areas of Pakistan. Northern Light Infantry is also known to assist the Afghan Mujahaddin. Field Marshal Sam Hormusji Framji Jamshedji Manekshaw, MC PVB PB, popularly known as Sam Bahadur, was the Chief of the Army Staff of the Indian Army during the Indo-Pakistani War of 1971, and the first Indian Army officer to be promoted to the rank of field marshal. His military career spanned four decades and five wars, beginning with service in the British Indian Army in World War II. 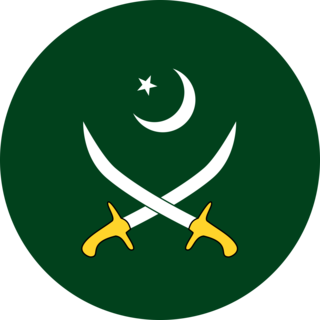 The Pakistan Army is the principal land warfare uniformed service branch of the Pakistan Armed Forces. It came into its modern existence from the British Indian Army that ceased to exist following the partition of British India that resulted in the parliamentary act that established the independence of Pakistan from the United Kingdom on 14 August 1947. According to the estimation provided by the International Institute for Strategic Studies (IISS) in 2017, the Pakistan Army has approximately 550,000 active duty personnel, supported by the Army Reserve and the Army National Guard. In Pakistan, the age of military enlistment is 17–23 years of age for voluntary military service; soldiers cannot be deployed for combat until age 18 according to its nation's constitution. General Krishnaswamy Sundarji, PVSM, was the Chief of Army Staff of the Indian Army from 1986 to 1988. He was the last former British Indian Army officer to command the Indian Army. The red beret is a military beret worn by many military police, paramilitary, commando, and police forces. 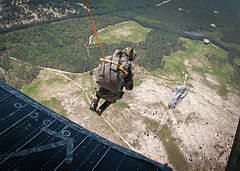 The term is also used to refer to the British Parachute Regiment, although members wear the maroon beret. The Azad Kashmir Regiment, also known as AK Regt, is one of the six Infantry Regiments of the Pakistan Army. As per the order of seniority, it is the Fourth regiment, but first to be raised after the Independence of country from the British Colonial rule of India. Regiment takes sheer pride in the fact that it is to date the only Regiment of Pak Army which was raised on the battlefield. This is why the Regiment is informally known by the adage; "Asli Nasli" meaning "The pure breed". Its Regimental Centre is located at Mansar camp in Attock District on the border of Punjab and KPK province. The Regiment has participated in all major and minor operations and wars fought by the army and displayed high standards of valour. Notable commanders of the regiment include including Lieutenant-General Haroon Aslam, ex commander of Pakistan Special Services Group who led the SSG operation in Swat in 2009 and Lieutenant General Hidayat ur Rehman, who commanded successful operations in FATA from 2014 to 2016. The Kargil war order of battle (KWORBAT), is a deposition and systematic combatant structure of the Indian Army troops and the unified Pakistan Armed Forces combat commands, active in the Kargil region in 1999, during the Kargil War. The Indian Army orbat is based on the publications provided by the Indian military authors, news media and official sources. The Structure of the Pakistan Army can be broken down two ways, administrative, and operational. Operationally the Pakistan Army is divided in 9 Corps and two corps-level formations (commands) having areas of responsibility (AOR) from mountainous regions of northern Pakistan to the desert and coastal regions of the south. Administratively it is divided in different regiments. The General Headquarters (GHQ) of Pakistan Army is located in the garrison city of Rawalpindi in Punjab province. It is planned to be moved to the capital city of Islamabad. XIV Corps is a corps of the Indian Army. It is a part of the Army’s Udhampur-based Northern Command. Military operations took place in Poonch district, then part of the princely state of Jammu and Kashmir, in 1948 during the conflict in Jammu and Kashmir between the Indian Army and Pakistani forces. Poonch withstood a siege by the Pakistanis from November 1947 till relieved by an Indian offensive, Operation Easy on 20 November 1948. The besieged garrison, commanded by Brig. Pritam Singh, was maintained by air supply. Military operations ended with Poonch town and the eastern part of Poonch district in Indian hands and western Poonch in Pakistani hands. 20th Lancers is an armoured regiment in the Armoured Corps of the Indian Army. The regiment distinguished itself in operations with its defence of Chhamb in Jammu and Kashmir during the 1965 Indo-Pakistan War winning one Maha Vir Chakra. ↑ Singh Rana, Uday (27 December 2017). "20% Sailor Shortage in Navy, 15% Officer Posts Vacant In Army, Nirmala Sitharaman Tells Parliament". News18. Archived from the original on 27 December 2017. Retrieved 13 August 2018. ↑ The Military Balance 2017. Routledge. 2017. ISBN 9781857439007. ↑ "Chief of the Army Staff". Official Website of the Indian Army. Archived from the original on 3 January 2017. Retrieved 31 December 2016. ↑ "Lt Gen Devraj Anbu is the new Vice Chief of Army Staff". 24 May 2018. Archived from the original on 8 July 2018. Retrieved 24 February 2019. ↑ "About – The President of India". Archived from the original on 5 April 2016. Retrieved 4 April 2016. ↑ Singh, Sarbans (1993). 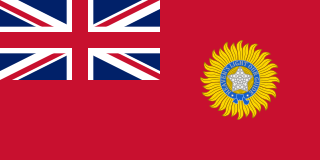 Battle Honours of the Indian Army 1757–1971. New Delhi: Vision Books. ISBN 978-8170941156. ↑ "Indian Army Doctrine". Headquarters Army Training Command. October 2004. Archived from the original on 1 December 2007. Retrieved 1 December 2007. 1 2 "20% Sailor Shortage in Navy, 15% Officer Posts Vacant In Army, Nirmala Sitharaman Tells Parliament". News18. Archived from the original on 27 December 2017. Retrieved 28 December 2017. 1 2 "Armed forces facing shortage of nearly 60,000 personnel: Government". The Economic Times. 27 December 2017. Archived from the original on 28 December 2017. Retrieved 28 December 2017. ↑ International Institute for Strategic Studies (3 February 2014). The Military Balance 2014. London: Routledge. pp. 241–246. ISBN 9781857437225. ↑ The Military Balance 2017. Routledge, Chapman & Hall, Incorporated. 2017-02-14. ISBN 9781857439007. ↑ The Military Balance 2010. Oxfordshire: Routledge. 2010. pp. 351, 359–364. ISBN 978-1857435573. ↑ "Indian Army Modernisation Needs a Major Push". India Strategic. February 2010. Archived from the original on 6 September 2013. Retrieved 10 July 2013. ↑ "India's Military Modernisation Up To 2027 Gets Approval". Defence Now. 2 April 2012. Archived from the original on 29 October 2013. Retrieved 10 July 2013. ↑ "About The Ministry". Ministry of Defence, Government of India. Archived from the original on 9 May 2012. Retrieved 31 March 2011. ↑ Editorial Team. "10 Facts Which Prove Indian Army Living Up To Its Motto – "Service Before Self"". SSB Interview Tips & Coaching – SSBCrack. Archived from the original on 14 April 2016. 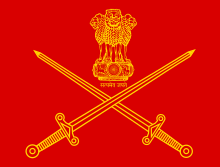 ↑ "Indian army official Facebook page wiki-facts, official website, motto". GuidingHawk. Archived from the original on 11 April 2016. ↑ Khanduri, Chandra B. (2006). Thimayya: an amazing life. New Delhi: Knowledge World. p. 394. ISBN 978-81-87966-36-4. Archived from the original on 6 January 2016. Retrieved 30 July 2010. ↑ "Commonwealth War Graves Commission Report on India 2007–2008" (PDF). Commonwealth War Graves Commission. Archived from the original (PDF) on 18 June 2010. Retrieved 7 September 2009. ↑ Martin Bamber and Aad Neeven (26 August 1942). "The Free Indian Legion – Infantry Regiment 950 (Ind)". Freeindianlegion.info. Archived from the original on 17 March 2012. Retrieved 1 June 2012. ↑ "Part I-Section 4: Ministry of Defence (Army Branch)". The Gazette of India. 24 September 1949. p. 1375. ↑ "Part I-Section 4: Ministry of Defence (Army Branch)". The Gazette of India. 29 October 1949. p. 1520. ↑ "Part I-Section 4: Ministry of Defence (Army Branch)". The Gazette of India. 11 February 1950. p. 227. ↑ Cooper, Tom (29 October 2003). "Indo-Pakistani War, 1947–1949". ACIG. Archived from the original on 13 June 2006. ↑ "47 (1948). Resolution of 21 April 1948 [S/726]". United Nations. Archived from the original on 13 May 2016. Retrieved 13 July 2016. ↑ Bruce Bueno de Mesquita & David Lalman. War and Reason: Domestic and International Imperatives. Yale University Press (1994), p. 201 Archived 9 May 2016 at the Wayback Machine . ISBN 978-0-300-05922-9. ↑ Alastair I. Johnston & Robert S. Ross. New Directions in the Study of China's Foreign Policy. Stanford University Press (2006), p. 99 Archived 6 January 2016 at the Wayback Machine . ISBN 978-0-8047-5363-0. ↑ Claude Arpi. India and her neighbourhood: a French observer's views. Har-Anand Publications (2005), p. 186 Archived 6 January 2016 at the Wayback Machine . ISBN 978-81-241-1097-3. ↑ Dijkink, Gertjan. National identity and geopolitical visions: maps of pride and pain. Routledge, 1996. ISBN 0-415-13934-1. ↑ Praagh, David. The greater game: India's race with destiny and China. McGill-Queen's Press – MQUP, 2003. ISBN 0-7735-2639-0. 1 2 3 R.D. Pradhan & Yashwantrao Balwantrao Chavan (2007). 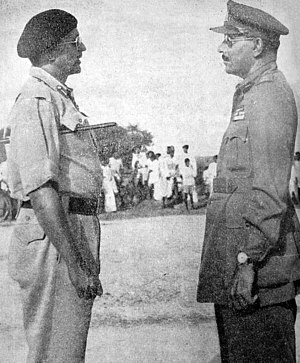 1965 War, the Inside Story: Defence Minister Y.B. Chavan's Diary of India-Pakistan War. Atlantic Publishers & Distributors. p. 47. ISBN 978-81-269-0762-5. Archived from the original on 6 January 2016. ↑ Sumit Ganguly. "Pakistan". In India: A Country Study Archived 1 April 2007 at the Wayback Machine (James Heitzman and Robert L. Worden, editors). Library of Congress Federal Research Division (September 1995). 1 2 "Indo-Pakistan Wars". Microsoft Encarta 2008. Archived 1 November 2009 at WebCite 31 October 2009. ↑ Thomas M. Leonard (2006). Encyclopedia of the developing world, Volume 2. Taylor & Francis, 2006. ISBN 978-0-415-97663-3. ↑ Spencer Tucker. Tanks: An Illustrated History of Their Impact. ABC-CLIO (2004), p. 172 Archived 6 January 2016 at the Wayback Machine . ISBN 978-1-57607-995-9. ↑ Sumit Ganguly. Conflict unending: India-Pakistan tensions since 1947. Columbia University Press (2002), p. 45 Archived 6 January 2016 at the Wayback Machine . ISBN 978-0-231-12369-3. ↑ Hoontrakul, Pongsak (2014). The Global Rise of Asian Transformation: Trends and Developments in Economic Growth Dynamics (illustrated ed.). Palgrave Macmillan. p. 37. ISBN 9781137412355. Archived from the original on 18 May 2016. ↑ "Kirantis' khukris flash at Chola in 1967". Hindustan Times. Archived from the original on 28 February 2016. Retrieved 22 July 2015. ↑ Lawoti, Mahendra; Pahari, Anup Kumar (2009). "Part V: Military and state dimension". The Maoist Insurgency in Nepal: Revolution in the Twenty-first Century. London: Routledge. p. 208. ISBN 978-11-35261-68-9. The second turning point came in the wake of the 1971 Bangladesh war of independence which India supported with armed troops. With large contingents of Indian Army troops amassed in the West Bengal border with what was then East Pakistan, the Government of Indira Gandhi used the opening provided by President's Rule to divert sections of the army to assist the police in decisive counter–insurgency drives across Naxal–impacted areas. "Operation Steeplechase," a police and army joint anti–Naxalite undertaking, was launched in July–August 1971. By the end of "Operation Steeplechase" over 20,000 suspected Naxalites were imprisoned and including senior leaders and cadre, and hundreds had been killed in police encounters. It was a massive counter–insurgency undertaking by any standards. ↑ Pandita, Rahul (2011). Hello, Bastar : The Untold Story of India's Maoist Movement. Chennai: Westland (Tranquebar Press). pp. 23–24. ISBN 978-93-80658-34-6. OCLC 754482226. Archived from the original on 6 January 2016. Meanwhile, the Congress government led by Indira Gandhi decided to send in the army and tackle the problem militarily. A combined operation called Operation Steeplechase was launched jointly by military, paramilitary and state police forces in West Bengal, Bihar and Orissa. ↑ Owen Bennett Jones. Pakistan: Eye of the Storm. Yale University Press (2003), p. 177 Archived 6 January 2016 at the Wayback Machine . ISBN 978-0-300-10147-8. ↑ Eric H. Arnett. Military capacity and the risk of war: China, India, Pakistan, and Iran. Oxford University Press (1997), p. 134 Archived 6 January 2016 at the Wayback Machine . ISBN 978-0-19-829281-4. ↑ S. Paul Kapur. Dangerous deterrent: nuclear weapons proliferation and conflict in South Asia. Stanford University Press (2007), p. 17 Archived 6 January 2016 at the Wayback Machine . ISBN 978-0-8047-5550-4. ↑ Encyclopedia of the Developing World, p. 806 Archived 6 January 2016 at the Wayback Machine . ↑ Edward W. Desmond. "The Himalayas War at the Top Of the World" Archived 14 January 2009 at the Wayback Machine . Time (31 July 1989). ↑ Vivek Chadha. Low Intensity Conflicts in India: An Analysis. SAGE (2005), p. 105 Archived 6 January 2016 at the Wayback Machine . ISBN 978-0-7619-3325-0. ↑ Pradeep Barua. The State at War in South Asia. University of Nebraska Press (2005), p. 256 Archived 6 January 2016 at the Wayback Machine . ISBN 978-0-8032-1344-9. ↑ Kamal Thakur (1 November 2014). "16 Things You Should Know About India's Soldiers Defending Siachen". Topyaps. Archived from the original on 31 October 2014. Retrieved 16 May 2014. ↑ Sanjay Dutt. War and Peace in Kargil Sector. APH Publishing (2000), p. 389-90 Archived 21 May 2016 at the Wayback Machine . ISBN 978-81-7648-151-9. ↑ Nick Easen. Siachen: The world's highest cold war Archived 23 August 2016 at the Wayback Machine . CNN (17 September 2003). ↑ Arun Bhattacharjee. "On Kashmir, hot air and trial balloons" Archived 28 February 2016 at the Wayback Machine . Asia Times (23 September 2004). ↑ "Indian Army organizes a Symposium titled "North Technical-2014" – Scoop News Jammu Kashmir". Archived from the original on 6 January 2016. Retrieved 4 April 2016. ↑ "e-Symposium – Northern Command". Official Website of Indian Army. Archived from the original on 24 December 2016. Retrieved 9 January 2017. ↑ "e-Symposium – Northern Command: North Tech Symposium 2016". Official Website of Indian Army. Archived from the original on 24 December 2016. Retrieved 9 January 2017. ↑ "Troubled Periphery: The Crisis of India's North East By Subir Bhaumik". Archived from the original on 6 January 2017. ↑ "Tariq Ali · Bitter Chill of Winter: Kashmir · LRB 19 April 2001". London Review of Books. Archived from the original on 1 October 2009. Retrieved 4 April 2016. ↑ Alastair Lawson. "Pakistan and the Kashmir militants" Archived 28 February 2003 at the Wayback Machine . BBC News (5 July 1999). ↑ A.K. Chakraborty. "Kargil War brings into sharp focus India's commitment to peace" Archived 18 August 2014 at the Wayback Machine . Government of India Press Information Bureau (July 2000). ↑ Michael Edward Brown. Offense, defence, and war. MIT Press (2004), p. 393 Archived 6 January 2016 at the Wayback Machine . ↑ "Past peacekeeping operations". United Nations Peacekeeping. Archived from the original on 12 September 2009. Retrieved 31 March 2011. ↑ "United Nations peacekeeping – Fatalities By Year up to 30 June 2014" (PDF). Archived (PDF) from the original on 2 July 2017. ↑ John Pike. "Brass Tacks". Globalsecurity.org. Archived from the original on 11 February 2011. Retrieved 31 March 2011. ↑ John Cherian (8 June 2001). "An exercise in anticipation". Hinduonnet.com. Archived from the original on 7 December 2004. Retrieved 31 March 2011. ↑ "Indian Army tests network centric warfare capability in Ashwamedha war games". India-defence.com. Archived from the original on 5 February 2012. Retrieved 1 June 2012. ↑ "Indo-US Army Exercise Yudh Abhyas". Defence.pk. 14 March 2012. Archived from the original on 18 April 2012. Retrieved 1 June 2012. ↑ Sgt. Michael J. MacLeod (11 May 2013). "Yudh Abhyas 2013 Begins". Archived from the original on 2 October 2015. Retrieved 4 April 2016. ↑ "File:Sgt. Balkrishna Dave explains weapons-range safety procedures to Indian Army soldiers with the 99th Mountain Brigade before they fire American machine guns.jpg". Archived from the original on 26 October 2015. Retrieved 4 April 2016. ↑ "Yudh Abhyas enhances U.S., Indian Army partnership". Hawaii Army Weekly. 22 May 2013. Archived from the original on 5 July 2014. Retrieved 11 August 2014. ↑ "Steele_August2013.pdf – Association of the United States Army" (PDF). Archived (PDF) from the original on 21 September 2013. ↑ "Indo-French joint Army exercise Shakti 2013 begins today". Zeenews.india.com. Archived from the original on 6 July 2014. Retrieved 11 August 2014. ↑ "Indo-French Joint Army Exercise "Shakti 2016"". Facebook. Archived from the original on 18 October 2015. Retrieved 11 August 2014. ↑ "Indian Army gears up for war game in Rajasthan desert". FacenFacts. 25 April 2012. Archived from the original on 5 June 2012. Retrieved 1 June 2012. ↑ "India, Mongolia engage in joint military exercises". Business Standard. 11 June 2013. Archived from the original on 15 June 2013. Retrieved 27 June 2013. ↑ Exercise Nomadic Elephant, Indo Mongolian Joint Military Exercise Archived 18 October 2015 at the Wayback Machine . Facebook (24 June 2013). Retrieved 12 July 2013. ↑ "Indian Army's firing exercise 'Shatrujeet' enters its last phase – Times of India". The Times of India. Archived from the original on 18 April 2016. Retrieved 18 April 2016. ↑ "Indian Army Conducts Battle Exercise 'Shatrujeet' In Rajasthan". NDTV.com. Archived from the original on 17 April 2016. Retrieved 18 April 2016. ↑ Admin. "Indian Army Test Its Operation Abilities". News Ghana. Archived from the original on 22 April 2016. Retrieved 18 April 2016. ↑ "Army and navy plan to set up a marine brigade". Indiatoday.intoday.in. 9 June 2010. Archived from the original on 19 October 2010. Retrieved 1 June 2012. ↑ "Lt Gen Devraj Anbu is the new Vice Chief of Army Staff". The Indian Express. 24 May 2018. Archived from the original on 26 May 2018. Retrieved 31 May 2018. ↑ "'Make in India' not just confined to India anymore, benefitting others: Jitendra Singh". Outlook. Archived from the original on 10 September 2018. Retrieved 10 September 2018. ↑ "Official Website of Indian Army". uniindia.com. Archived from the original on 7 July 2018. Retrieved 12 July 2017. ↑ "Lt General Ashwani Kumar assumes charge as Adjutant General". Archived from the original on 2 December 2017. Retrieved 12 July 2017. ↑ "Lt Gen A K Bhatt to take over as 15 Corps GOC - Kashmir News Zone". Kashmir News Zone. 15 December 2017. Archived from the original on 16 August 2018. Retrieved 29 December 2017. ↑ "Lt Gen S K Upadhyay designated as MGO". ↑ "3300 visually challenged and differently abled children participate in 22nd edition of Salwan Marathon race". 14 November 2017. Archived from the original on 8 October 2018. Retrieved 29 December 2017. 1 2 3 4 5 6 7 8 9 10 11 12 13 "Know Your Army: Structure". Official Indian Army Web Portal. Archived from the original on 24 December 2016. Retrieved 31 December 2016. ↑ "Lt Gen Abhay Krishna takes over as GOC-in-Chief of Central Command - Times of India". The Times of India. Archived from the original on 8 October 2018. Retrieved 8 October 2018. ↑ "Lt Gen Manoj Mukund Naravane takes over as GOC-in-C of Indian Army's Eastern Command". The New Indian Express. Archived from the original on 2 October 2018. Retrieved 8 October 2018. ↑ "Eye on China, India to raise second division for mountain corps". The Indian Express. 17 March 2017. Archived from the original on 17 March 2017. Retrieved 17 March 2017. ↑ "The mountain is now a molehill". Archived from the original on 7 December 2016. Retrieved 17 March 2017. ↑ "Lt Gen Ranbir Singh takes over Army's Northern command chief". TOI. TOI. Archived from the original on 2 June 2018. Retrieved 7 June 2018. ↑ India, Press Trust of (1 October 2018). "Lt Gen Saini takes charge as head of Southern Command". Business Standard India. Archived from the original on 2 October 2018. Retrieved 8 October 2018. ↑ "Western Command: General Officer Commanding-in-Chief". Official Website of Indian Army. Archived from the original on 28 February 2016. Retrieved 4 January 2017. ↑ India, Press Trust of (17 September 2016). "Lt Gen Surinder Singh takes charge of Western Command". Business Standard India. Archived from the original on 18 September 2016. Retrieved 18 September 2016. ↑ "Lt Gen Surinder Singh takes over as GOC-in-C". 18 September 2016. Archived from the original on 19 September 2016. Retrieved 18 September 2016. ↑ "Lt. Gen. Pattacheruvanda Thimayya is new chief of Army Training Command at Shimla". Kodagu Connect. 29 September 2018. Archived from the original on 5 October 2018. Retrieved 8 October 2018. ↑ "The Regiment of Artillery: Director General and Colonel Commandant". Official Website of Indian Army. Archived from the original on 24 December 2016. Retrieved 7 January 2017. ↑ "Army Air Defence: Director General Army Air Defence". Official Website of Indian Army. Archived from the original on 24 December 2016. Retrieved 7 January 2017. ↑ "Army Aviation Corps: Director General and Colonel Commandant". Official Website of Indian Army. Archived from the original on 24 December 2016. Retrieved 7 January 2017. ↑ "Infantry Regiments". Bharat Rakshak. 2008. Archived from the original on 7 October 2013. Retrieved 24 January 2014. ↑ "Indian artillery inflicted maximum damage to Pak during Kargil". Zee News. Archived from the original on 31 October 2014. Retrieved 26 November 2014. ↑ RAGHUVSNSHI, VIVEK (21 March 2014). "Upgraded Indian Howitzers Cleared for Summer Trials". defensenews.com. Gannett Government Media. Retrieved 21 March 2014. ↑ Swami, Praveen (29 March 2012). "Inside India's defence acquisition mess". The Hindu. Archived from the original on 7 January 2014. Retrieved 4 January 2014. ↑ "In 'Dhanush', Indian Army's Prayers Answered". NDTV.com. Archived from the original on 3 November 2014. Retrieved 26 November 2014. ↑ "Defence ministry agrees to army's long pending demand of artillery guns". dna. Archived from the original on 24 November 2014. Retrieved 26 November 2014. ↑ "Indigenous Artillery Gun 'Dhanush' to be Ready This Year". The New Indian Express. Archived from the original on 22 November 2014. Retrieved 26 November 2014. ↑ "Indian Army to increase indigenous rocket regiments by 2022". Firstpost. 7 December 2016. Archived from the original on 8 December 2016. Retrieved 8 December 2016. ↑ "Corps Of Signals – Inaugural: Ceremony Centenary Year". Ministry of Defence. 15 February 2010. Archived from the original on 22 February 2014. ↑ Rishabh Mishra (24 June 2015). "21 Different Branches Of Indian Army That Make It Such An Efficient Defence Force". TopYaps. Archived from the original on 11 June 2016. Retrieved 7 June 2016. ↑ "Lt Gen MH Thakur". Archived from the original on 19 February 2018. Retrieved 30 September 2016. ↑ "Army Medical Corps: DGMS (Army) [Director General, Medical Services, Army]". Official Website of the Indian Army. Archived from the original on 24 December 2016. Retrieved 25 October 2016. ↑ "Army Dental Corps: Director General, Dental Services". Official Website of the Indian Army. Archived from the original on 24 December 2016. Retrieved 25 October 2016. ↑ "Army Ordnance Corps: Director General, Ordnance Services". Official Website of the Indian Army. Archived from the original on 24 December 2016. Retrieved 25 October 2016. ↑ "75th EME CORPS DAY - DAVP" (PDF). Archived (PDF) from the original on 29 December 2017. ↑ "Remount and Veterinary Corps: Director General, Remount Veterinary Services". Official Website of the Indian Army. Archived from the original on 28 February 2016. Retrieved 25 October 2016. ↑ "Army Education Corps: General Information". Official Website of the Indian Army. Archived from the original on 24 December 2016. Retrieved 25 October 2016. ↑ "Military Nursing Service celebrates its 92nd Raising Day". pib.nic.in. Archived from the original on 3 January 2018. Retrieved 3 January 2018. ↑ "How Indian Army's Military Intelligence Directorate works : Special Report – India Today". Indiatoday.intoday.in. 28 January 2012. Archived from the original on 31 October 2012. Retrieved 4 November 2012. ↑ "State govt allots land for NTRO in Borda village". IBNLive. Archived from the original on 17 October 2013. Retrieved 4 April 2016. ↑ Richard Rinaldi; Ravi Rikhye (2010). Indian Army Order of Battle. General Data LLC. ISBN 978-0982054178. Archived from the original on 28 February 2016. ↑ John Pike. "Indian Army Divisions". Globalsecurity.org. Archived from the original on 28 June 2011. Retrieved 31 March 2011. ↑ "Know about Ghatak commandos, the invincible Special Forces of India". Archived from the original on 15 October 2014. Retrieved 26 November 2014. ↑ "The mountain is now a molehill". Archived from the original on 19 November 2016. Retrieved 18 November 2016. ↑ "More soldiers but weaker Army". dailypioneer.com. Archived from the original on 19 November 2016. Retrieved 18 November 2016. ↑ (Iiss), The International Institute of Strategic Studies (2017-02-14). The Military Balance 2017. Routledge, Chapman & Hall, Incorporated. ISBN 9781857439007. ↑ "General V K Singh takes over as new Indian Army chief". The Times of India . 31 March 2010. Archived from the original on 28 February 2016. Retrieved 31 March 2010. ↑ Page, Jeremy. "Comic starts adventure to find war heroes" Archived 9 August 2011 at the Wayback Machine . The Times (9 February 2008). ↑ Indian Army must stop its discrimination against military nurses Archived 14 December 2017 at the Wayback Machine , Hindustan Times, 13 December 2017. ↑ "Entry Schemes Women : Officers Selection - Join Indian Army". joinindianarmy.nic.in. Archived from the original on 25 February 2016. Retrieved 21 January 2016. ↑ "First All-Female U.N. Peacekeeping Force to Deploy to Liberia". Fox News Channel. 19 January 2007. Archived from the original on 17 February 2008. Retrieved 28 January 2008. ↑ "Indian Army's shameful treatment of women recruits". NDTV. Archived from the original on 10 March 2016. Retrieved 13 December 2017. ↑ Pandit, Rajat (24 March 2014). "Army running low on ammunition". indiatimes.com. TNN. Archived from the original on 26 March 2014. Retrieved 24 March 2014. ↑ PTI. "HAL developing light choppers for high-altitude operations". The Hindu Business Line. Archived from the original on 21 March 2014. Retrieved 26 November 2014. ↑ Gautam Datt (13 October 2012). "Army to get attack helicopters: Defence Ministry". Mail Today (epaper). Archived from the original on 1 December 2012. Retrieved 30 November 2012. ↑ "DRDO's F-INSAS programme to be ready in two years". Defence News. 9 July 2013. Archived from the original on 12 December 2013. Retrieved 10 July 2013. ↑ "Night-vision devices for Indian Army approved". Zee News. 2 April 2013. Archived from the original on 8 June 2013. Retrieved 10 July 2013. ↑ "Army to get night vision devices worth over Rs 2,800 crore for its tanks and infantry combat vehicles". The Economic Times. 2 April 2013. Archived from the original on 28 February 2016. Retrieved 10 July 2013. ↑ Pandit, Rajat. "Army to raise 2 mountain units to counter Pak, China" Archived 28 February 2016 at the Wayback Machine . The Times of India , 7 February 2008. Retrieved 4 January 2010. ↑ "Arjun, Dhruv Get Thumbs Up From Indian Army Chief". Archived from the original on 20 April 2016. Retrieved 4 April 2016. ↑ "Prahaar Missile to be test-fired on Sunday". Ibnlive.in.com. 17 July 2011. Archived from the original on 16 October 2012. Retrieved 1 June 2012. 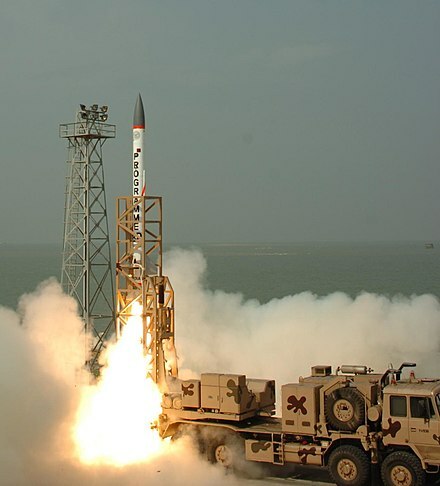 ↑ "India tests interceptor missile". Google.com. 6 March 2009. Archived from the original on 2 June 2013. Retrieved 19 April 2013. ↑ "Indian Military News Headlines ::". Bharat-Rakshak.com. Archived from the original on 5 November 2012. Retrieved 4 November 2012. ↑ Business Standard. "155-mm gun contract: DRDO enters the fray". Business-standard.com. Archived from the original on 6 October 2012. Retrieved 1 June 2012. ↑ "Exclusive: Made in India rifles to replace INSAS". Archived from the original on 28 February 2016. Retrieved 4 April 2016. Wikimedia Commons has media related to Indian Army .